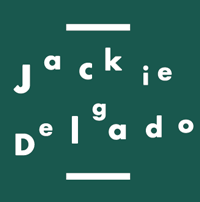 I’m so excited to share the launch of my renewed website today: www.byjackiedelgado.com. It has been quite a ride the past few months. Let me take you back a few months ago. New beginnings. As we grow we change. What used to feel good years ago no longer felt the right thing anymore. We outgrow stuff as we become more aware. And there is more clarity in who we are now and who we can best serve and how. For me personally I embarked on a pivotal new journey when I first experienced Light Grids healing in November 2015 during while visiting London. A dear friend invited me to a workshop and a 121 session with the wonderful Jody Shield and that first connection changed my life. I knew and I felt I was being called to work with this healing energy. Two months later I found myself in Berlin for the start of year training to become a Light Grids Practitioner being personally training by my mentor the awesome Damien Wynne. It was a start of an amazing journey that is still on-going. I learned so much about myself and was able to clear and heal so many emotional wounds that were in my subconscious energy field. I knew this was the major tool I would be using in my coaching practice and in my workshops. It has elements of so many different teachings from NLP, deep healing energy and bodywork, visualisations and system work to family genetics. All aimed at clearing and healing all that we carry in our energy systems. Those deep emotional wounds that were too painful to feel or to express and had become frozen memory fields. All the unlearning of programming and conditioning that took place, the expansion of my own and the collective awareness and so on. I found a way in incorporating all that I learned and am still learning and experiencing with who I am and my coaching proposition. It allows me to work at a much deeper level that brings immediate and sustainable change to my clients. I felt my business needed a re-branding to align with who I had become. I found the best partners in supporting me in that process. Communicating who I am and what I have to offer to the right audience. It had been an amazing journey, a process that took months of preparation, talks, reflective questions, co-creations, feedback etc. I would love to thank Bart-Jan Horrée of C-Roots. He is a true artist. And Ruud Licht of Waterloo Productions for his support in bringing this website to live as I wanted it. Both have been extremely patient with me. I know exactly what it is I want and I love it when I find the right creative person to help me to translate it in something tangible and at times even better than foreseen. And I am extremely grateful for the awesome friends I have who supported and inspired me for being there and giving me their feedback. I love to hold space and offer guidance to help you reconnect with yourself and find strength when you are down, support when you feel stuck or lost, safety when you trust has gone, certainty in accepting and knowing who you are and empowering you on your journey. My intention is for you to deepen your connection to the innermost part of yourself and the world around you. Allowing all that no longer supports you come to the surface to dissolve. In that connection you will be guided to your true purpose without any limitations. I look forward to connecting with you in person.